Today’s figure is from Wizards of the Coast, a Quaggoth Slave. He is on wearing a kilt/wrap. with no weapons (I removed the axe). I painted him with badger markings. Languages: Badgen and Common. Bonus: Aquan, Dwarven, Elven, Lutra, and Draconic. 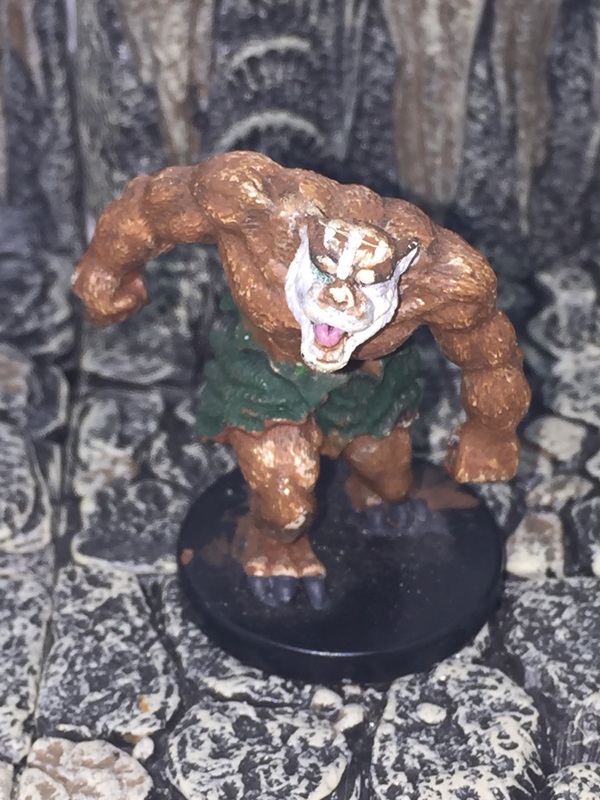 Cornered Fury: Whenever a Badgen is reduced to half its hit points or fewer and has no conscious ally within 30 feet, it gains a +2 racial bonus on melee attack rolls and to Armor Class. Replaces burrow and stone sense. Ferocity: Badgen gain the following extraordinary ability: If the hit points of a member of this race fall below 0 but it is not yet dead, it can continue to fight. If it does, it is staggered, and loses 1 hit point each round. It still dies when its hit points reach a negative amount equal to its Constitution score. Replaces natural armor and stubborn. Stability: Badgen receive a +4 racial bonus to their CMD when resisting bull rush or trip attempts while standing on the ground. Replaces relentless or craftsman. Scent: Badgen gain the scent ability. Replaces stubborn and stonesense.